Today's CAS card was made for ScraPerfect using sketch #65 @ Retro Rubber and will be entered @ The Merry Christmas June Challenge for "Anything Christmas -Optional- Snowmen". 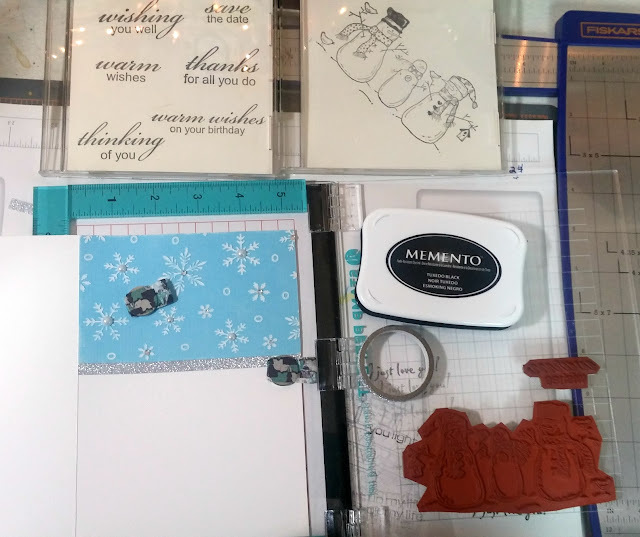 Even though the weather here has been gorgeous and definitely feels like summer, I still like to get a jump start on my cards for the holidays. 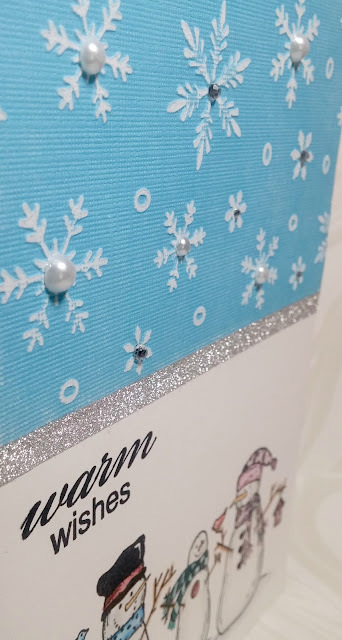 This card is an A5 (5 x 7) white card base and the blue cardstock is white cored, so after running it through with a snowflake embossing folder, I sanded the top blue layer off to reveal raised white snowflakes. I knew I wanted to accent the center of the snowflakes with rhinestones and pearls for some bling factor, so I was rather disappointed when the old rhinestone stickers I pulled out of my stash were no longer sticky on the back. But that was actually a very easy problem to solve with the help of my ScraPerfect Best Glue Ever! Using the ScraPerfect Embellie Gellie (it's like a magic sticky wand!) 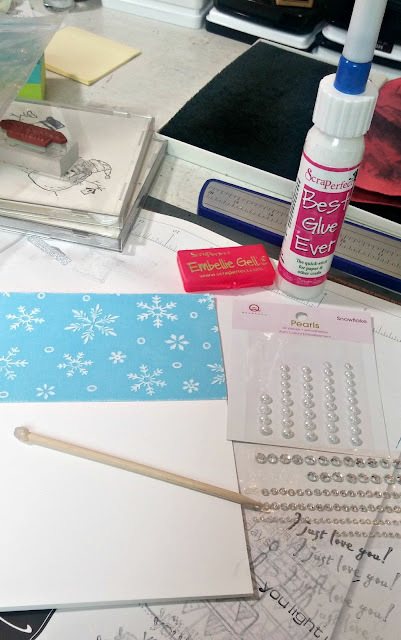 to place the bling onto the tiny dots of glue made this step easy and painless. Both of the stamp sets I used are long ago retired from TAC (The Angel Company -probably about 7+ years old!) and I used Memento Tuxedo Black ink so that I could water color without the ink smearing. 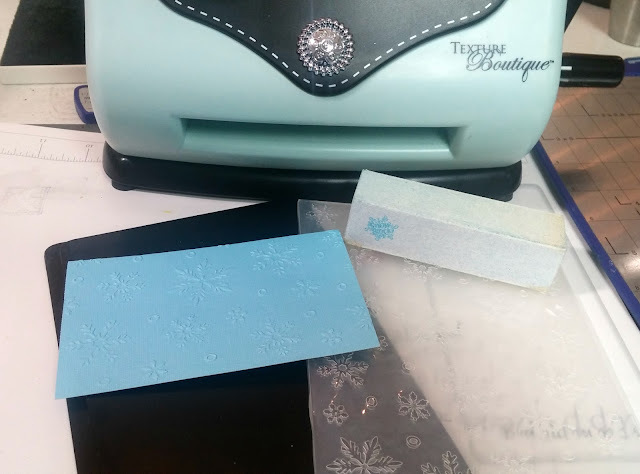 A small strip of silver glitter washi tape added the perfect touch across the front and using the Stamp Pefect tool I was able to double stamp my images to get a nice dark impression. Close up of some perfectly placed bling! Using Prismacolor watercolor pencils and a Dove blender pen I colored the snowmen. Using 2 shades of gray to shade the whiteness of the snow , I then followed up with some soft glimmer from a clear Wink of Stella pen over the snowmen's bodies. Keeping with the CAS style, I simply stamped the sentiment inside in black ink and declared it to be done. Lovely! I think the snowfamily is adorable and you've coloured them so well! The paper you've used, and glammed up, is so sweet - it's perfect for this card. Thanks so much for joining us at Retro Rubber. Your card is a great combination of challenges! 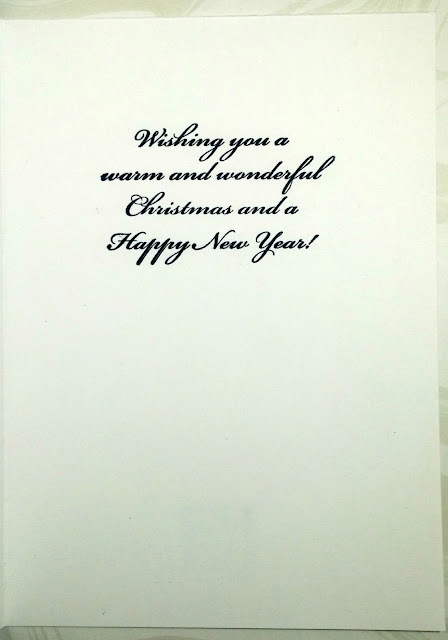 I love your choice of stamps and the texture is perfect for a seasonal card! Thank you for playing along with our sketch challenge at Retro Rubber and hope you will be back in our gallery soon. Marvelous! 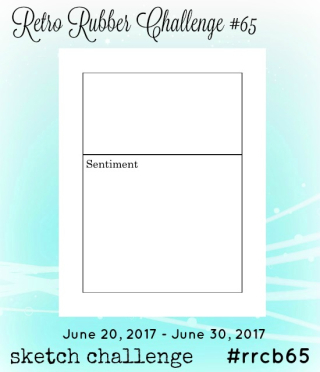 Thanks for sharing at The Merry Christmas Challenge. 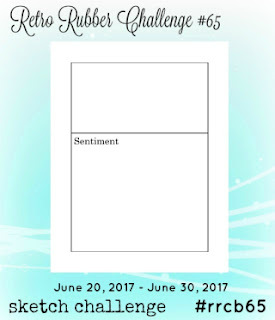 Beautiful way of combining this challenges, love the way you used our sketch at RETRO RUBBER with this adorable little snow people. 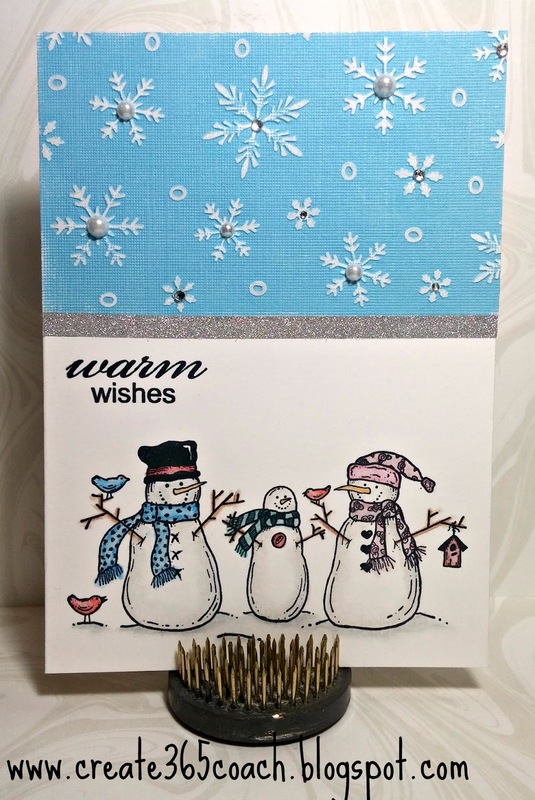 The embossed and sanded snow flakes are so beautiful, what a great detail for the Winter scene you created. Love your snowmen and the snowflake panel. It's nice to get that effect when sanding a white core blue cardstock... always gives great texture. The coloring for the snowmen plus the added gray to the snowy ground is perfection. 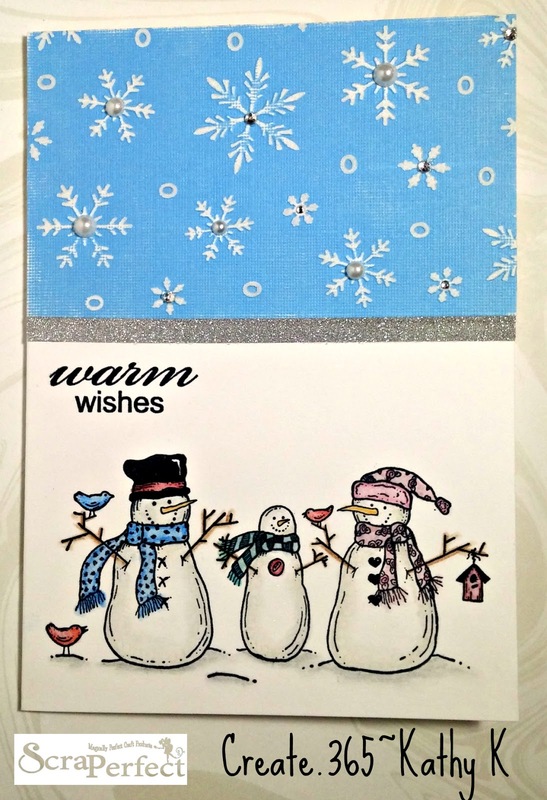 This stamp set reminds me of Frosty and Friends which is a retired Stampin' Up! set. Thanks so much for sharing with Retro Rubber... you really showcased the sketch. Hope to see you play along with us often. thanks so much for stopping by -I love Retro Rubber!